The leadership journey is a very special one. On one hand, it’s a very personal journey. At the same time, it’s an intersection of three journeys: the leadership journey, the team journey, and the organizational journey. On this journey of leadership transformation there are many traps and pitfalls along the way where, if mishandled, we can spiral down. But, if we respond to the challenges in effective ways, we can create trajectory. We can transform our leadership capabilities and rise to new levels. But how do you equip yourself for this journey of leadership transformation? 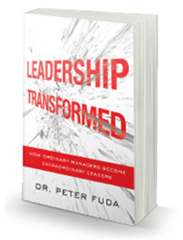 Welcome Leadership Transformed: How Ordinary Managers Become Extraordinary Leaders, by Dr. Peter Fuda. Fuda himself is a researcher, consultant, and speaker on leadership and business transformation, and adjunct professor at the Macquarie Graduate School of Management. He is also founder and principal of The Alignment Partnership where he has spoken to many thousands of leaders around the world and coaches hundreds of CEOs to increase their leadership effectiveness. Easy to read. The book is very easy to read, either end to end, or you can hop in and out of chapters. Actionable Advice. 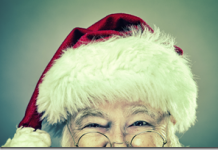 The advice is simple, insightful and actionable. Concrete Examples. Because Fuda is a coach, he has plenty of examples to share and draw from. Mental Models. Fuda uses simple metaphors to help create mental models for internalizing key leadership transformation success strategies. FIRE. The Fire metaphor describes the motivational forces that initiate and sustain transformation efforts, including a burning platform and a burning ambition, as well as personal and organizational reasons for change. SNOWBALL. The metaphor of the Snowball describes a virtuous cycle of accountability that propels the change effort forward. It starts with the leader, and builds momentum as others are swept up in the journey. MASTER CHEF. The Master Chef metaphor is about artfully applying leadership ‘science’ – frameworks, tools, and strategies for change – to help make transformation happen. Over time, leaders can and should advance from amateur cook to master chef, using their skills with increasing creativity and flair and thus maximizing their impact. COACH. The Coach metaphor describes how a coaching staff can collectively help leaders achieve their aspirations. It is not about leaders becoming coaches; it’s about leaders letting themselves be coached by others – consultants, colleagues, even family members. MASK. The metaphor of the Mask has two aspects: the concealment of perceived imperfections, and the adoption of an identity that is misaligned with a leader’s authentic self, values, or aspirations. MOVIE. The Movie metaphor involves processes for increasing self-awareness and reflection that allow leaders to first ‘edit’ their performance, and then direct a ‘movie’ that exemplifies their leadership vision. RUSSIAN DOLLS. The Russian Dolls metaphor describes a complementary set of journeys that interact with a leader’s personal journey, thereby increasing levels of effectiveness. Strategy one: from content to context. Leaders shift their focus from the day-to-day operational and technical detail of their world to creating a context for the success of others. Strategy two: from talking to walking. Leaders shift from telling others what is required to showing them. Strategy three. from competing to collaborating. 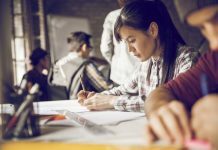 This shift involves moving from isolation, politics, and interpersonal conflict toward genuine relationships built on trust and a desire for mutual success. Strategy four: from guru to guide. Here, leaders shift from providing answers to coaching others to find answers for themselves. Strategy five: from critic to cheerleader. This final strategy involves moving from a focus on what is going wrong to what is going right. The Up-Line Doll has a very big impact on the speed and depth at which transformation can happen. It might be an international parent company, a board of directors, or a state or federal regulatory body. 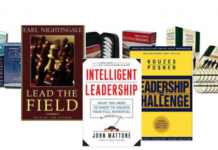 Overall, it’s a pragmatic and effective guide for driving leadership transformations.